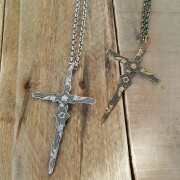 Our Etched Cross Necklace is “riveting”! No, really. 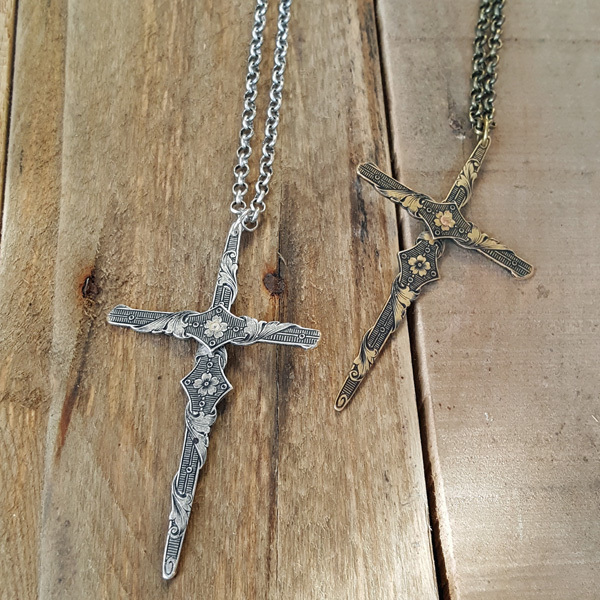 We riveted our two etched pieces together to form this stunning cross which is suspended from a 32 inch chain. 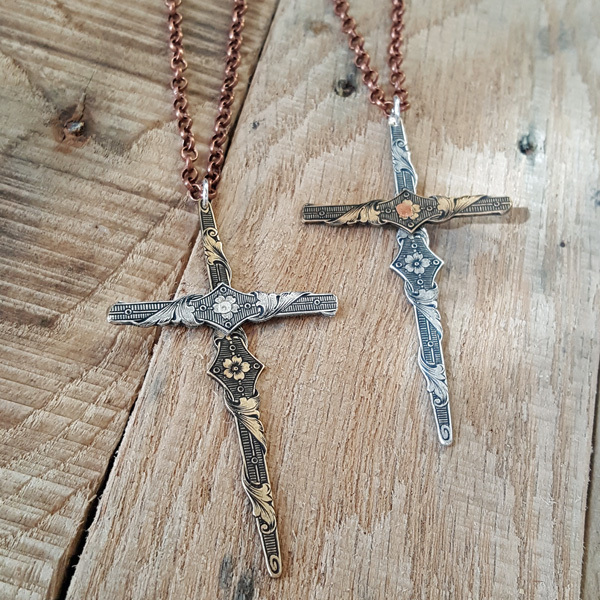 The cross is available in an Antique Brass, Antique Silver, or Mixed Metal finish. Your chain finish choices are Antique Brass, Antique Silver, or Antique Copper.